At David Round, we excel at designing and manufacturing customized carbon steel and stainless steel jib cranes to meet unique and/or non-standard customer requirements and applications. We can also provide purpose-built complete systems incorporating either standard hoists or specialty hoists with your crane. 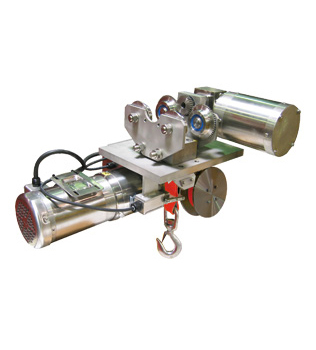 David Round manufactures explosion-proof and hazardous environment cranes. 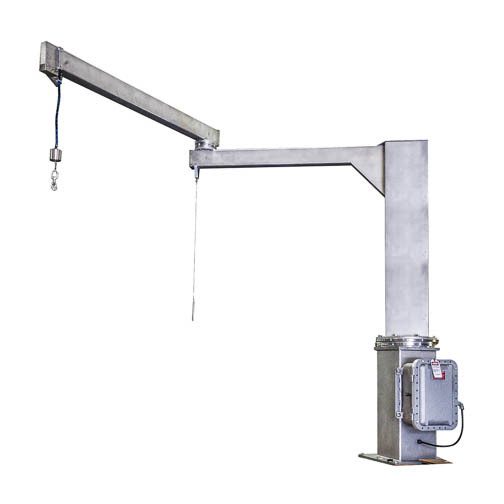 Explosion proof cranes are typically stainless steel, and specifically engineered for safe, dependable operation in harsh and hazardous environments such as oil refineries, chemical and paint manufacturing facilities, sewage treatment plants, etc. 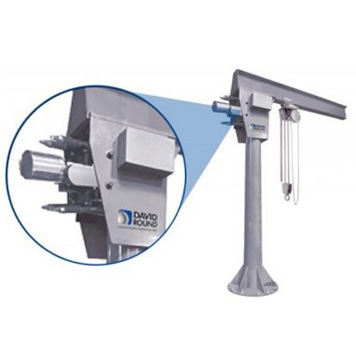 The David Round Company’s portable, manual davit cranes make any operation simple and affordable with trouble-free setup and breakdown for easy transport between multiple service sites. 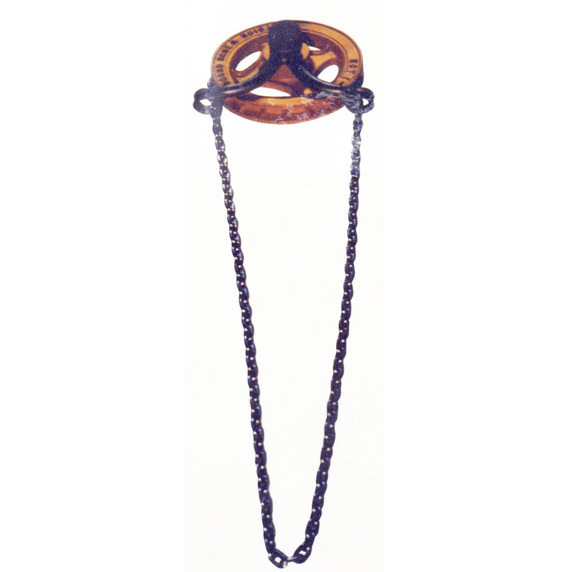 We offer a wide variety of options and accessories to meet your specific requirements. Often used for maintenance in wastewater treatment to remove pumps for cleaning and other preventative maintenance tasks. 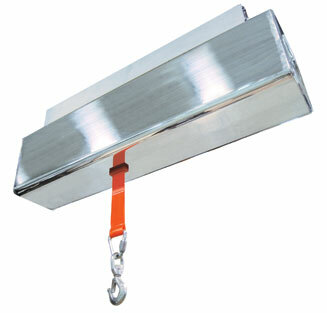 Our portable manual davit cranes can also be used for many other industrial and marine applications.